MIDNIGHT MANIAC: Lizzy’s first album in 11 years is a 10-tracker filled with dark themes and the singer’s trademark high-pitched vocals. Some times it’s the shock rockers who get the biggest fright of all. So says axe-wielding heavy metal maniac, Lizzy Borden, who’s calling from his home in Las Vegas and kindly obliging requests for Spinal Tap moments. “There was a time during the PMRC years when I would attack this guy who would come on stage with this big sign that said ‘No Heavy Metal,’” Lizzy recalls. “I would get so wrapped up in my character that I kept breaking the stick that held up the sign. One time, he couldn’t find a stick so he used a 2×4. It slammed me right in the mouth while I was singing and I thought all my teeth were broken out. 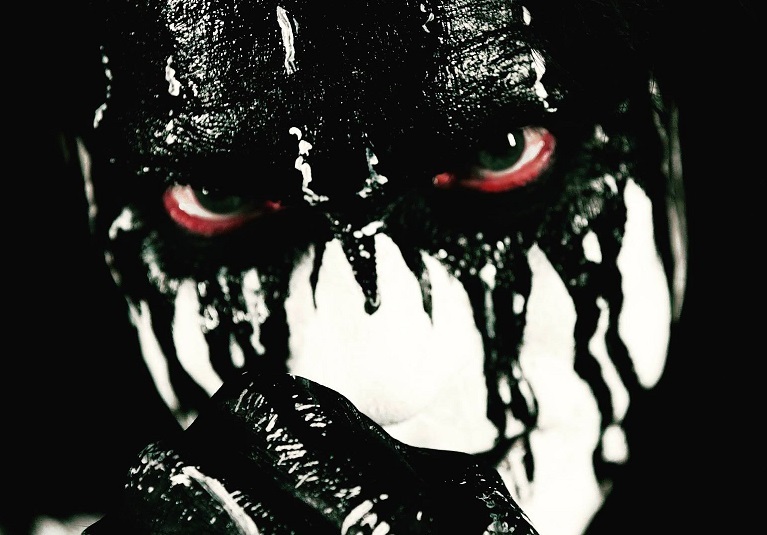 The real reason for Lizzy’s phone call is his first new album in 11 years. 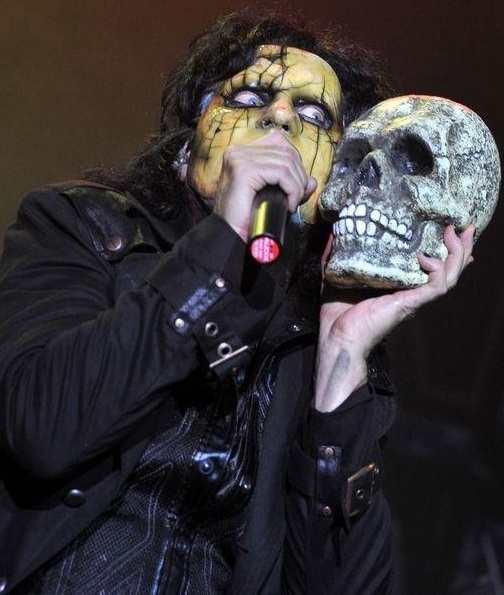 Titled “My Midnight Things,” the album is set for release June 15 via Metal Blade Records. Why so long for a new album? GRAVEYARD LULLABY: Lizzy digs up another prop as part of his eye-popping stage theater (credit Metal Hangar 18 and photographer Валерия Николова). “That’s the only question I don’t answer,” he says with a laugh, “It’s so open to interpretation and I think that’s true art — when you can have people interpret it so many different ways. HAUNTED: Among Lizzy’s many new looks is a ghostly black-and-white facade. Noticeably gone is Lizzy’s wild-man mane of yesteryear. 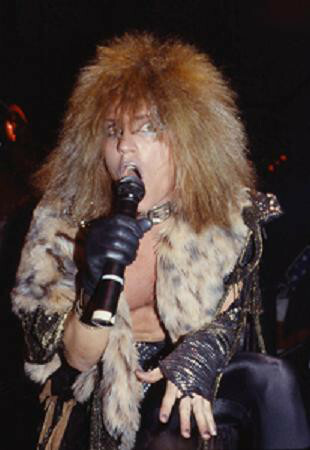 KILLER HAIR: Lizzy and his king-of-the-jungle hair during the 1980s. With the downturn in radio airplay for heavy metal artists, Lizzy says video is more important than ever. With “My Midnight Things” waiting in the wings, Lizzy is finalizing his stage show production and beginning to form a touring band. Drummers need not apply, however, as Lizzy will be backed, as always, by his lifelong musical partner and brother, Joey Scott. As for the theatrical aspects of the upcoming tour? 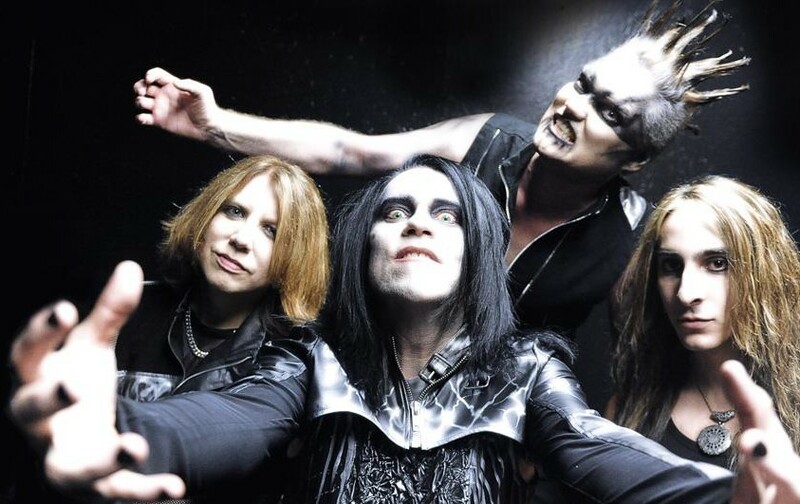 BLOODY KISSES: No stranger to censorship and public outcry, Lizzy Borden has always been driven by his lyrical themes and creative vision when it comes to his theatrical stage show. And, no, the theatrics won’t be toned down or otherwise sanitized to appease today’s heightened call for political correctness and gender sensitivity, Lizzy says.